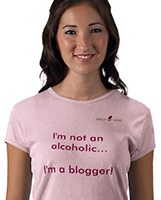 Building a better blog on wine, winemaking and social media. This past Sunday, I attended the 2010 Taste Washington in Seattle. In addition to great wine and food, I had the opportunity to meet many people I’ve only known online, including: @nectarwine @wawinereport, @divatink @shona425 @writeforwine @chefmangna @decanterbanter @tarynmiller @yasharseattle @hardrow @winepeeps @watastingroom and, of course, @seattlewinegal. Here’s a little video of that day. So much has changed since I attended last year. This year, I had to come up from California to attend, but thanks to Ryan Pennington at the Washington Wine Commission, I was able to get in as media and trade, since I’m both a wine blogger and wine industry person now. This allowed me a full 6 hours to visit with wineries, restaurants and other social media people. I didn’t have much of an agenda this year and played it by ear. I didn’t search out any specific wines, nor did I make it to many of the wineries. Nonetheless, I found some highlights this year. 2007 Bainbridge Island Vineyards Siegerrebe – Not your usual varietal. Grows well on the western side of the Cascades. Very floral aromas with lots of honeysuckle. Sweet apricot and honey flavors. 2009 JM Cellars Sauvignon Blanc – Subtle floral notes, crisp and lemony, yet smooth and almost creamy despite no secondary malolactic fermentation. 2007 “O” Wines Red Wine, Columbia Valley – the distinct smokey aromas told me this was primarily Syrah, but I didn’t guess that it also contains Merlot, Cab Franc and Sangiovese. 2008 Perennial Vintners Melon de Bourgogne – dry and tart with slight minerality. Pairs great with seafood, especially oysters. 2008 Southard Winery Riesling, Columbia Valley – Good acidity but not too tart, reminded me of a lemon-custard pie, clean finish. 2007 Southard Winery Syrah, Lawrence Vineyards, Columbia Valley – smokey, meaty aromas, mouth-filling fruit with nice palate feel and smooth tannins. 2007 Sparkman Cellars Wilderness Red Blend, Columbia Valley – another good vintage, smooth, straightforward and highly drinkable. Elliott’s Oyster House – once again, the oysters were eaten almost as quickly as they could shuck them. Fresh Bistro – Baby Mizuna Salad with Duck Confit, Wonton Chip & Truffled Peanut Vinaigrette. Muckleshoot Casino – Burrata Mozzarella wrapped with Blue Fin Tuna and Shoyu pipette. Yum. Racha Noodle & Thai Cuisine – Massaman Curry with Beef Short Ribs. Tulalip Bay Fine Dining – Asian Firecracker Shrimp, Furikake rice with Basil Cream Dressing. Ruth’s Chris Steakhouse – Bacon-wrapped Filet and BBQ Shrimp. Lilly’s (Aljoya) – Rondelles of Chicken stuffed with Lobster, Basil & Prosciutto. Brasserie Margaux – Ground Lamb & Goat Cheese in Phyllo Cups. Café Pacific Catering – Maple-rubbed Grilled Salmon bites. Sorry I missed you at Taste, it has been too long! Bainbridge Island Siegerrebe has become one of Ed’s favorite wines. Their Pinot Noir was actually one of my biggest surprises of the day, working on a post about that right now. I am also delighted to see Mike Lempriere of Perennial Vintners Melon de Bourgogne get some more blog love. I just wish that they had been closer to the Elliot Oysters, I think it would have really showcased the wine. I didn’t get to OS Winery at Taste but loved the 2009 Riesling at a Taste pre-party on Friday night. I appreciated the restrained alcohol content and delicate balance. All those smaller wineries from western WA often get overshadowed by all the popular ones in Woodinville, Walla Walla and eastern WA, so I thought it was about time they were recognized. You’re so right. That Melon de Bourgogne was too far away from its proper pairing and the OS Riesling is one of the lowest alcohol domestic wines I know being produced. I told Bill that his wine was almost as good as German Rieslings (but without the petrol smell) and me modestly denied that, knowing that I’ve had some great German wines and was just being kind. But I do like his wine and hope he keeps producing it. You should get out to Walla Walla sometime. Thanks for the DL Catering HF&WC video; great job! This work is licensed under a Creative Commons Attribution-Noncommercial-No Derivative Works 2.0 Generic License. Articles may be used, in whole or in part, provided that full and clear credit is given to Eric Hwang with appropriate and specific links to the original content.